Unveils new plans to its Sustainable Autonomous House developed for hot and humid climate. optimize the condensed water in the cooling system, managing the humidity and high moisture processes in the atmosphere, in order to produce water for domestic use. First Enerphi project in Taiwan. 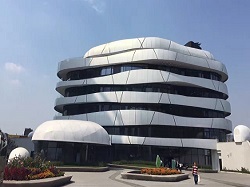 It is designed to adapt the local humid and hot weather. 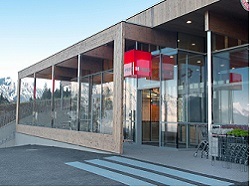 BWK works together with Passive House Institute to finish all design details. 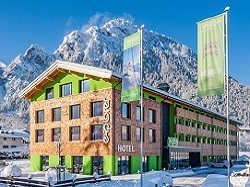 The new Explorer Hotel in St Johann in Tirol is the fifth ski hotel for a German company that is both climate neutral and a zero energy operation. 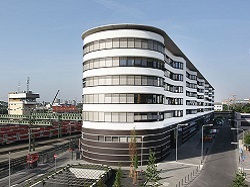 Frey Architekten is working on Asia’s largest passive house settlement. Wolfgang Frey took part in the groundbreaking ceremony at the construction site spanning nearly 200 acres in Qingdao, People’s Republic of China, together with other distinguished guests and decision-makers. 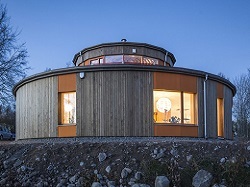 Villa Circuitus, meaning ‘a going around’ in Latin, is a spacious, circular 175 sq. 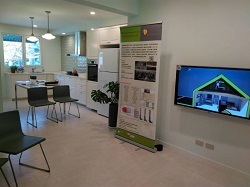 m passive house containing four bedrooms and open plan kitchen and dining area.The Villa Circuitus was built to meet passive house requirements, with strict environmental demands in terms of design and construction materials. 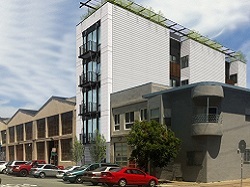 nbsp;duplex condos that is designed as the first building in New York City to achieve both Passive House Certification and the net zero energy-ready certification set by NYSERDA. 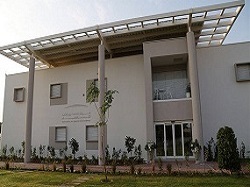 Beautifully constructed, the building is clean, quiet, and comfortable in all seasons. 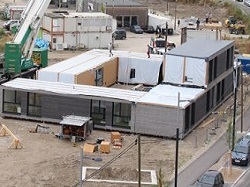 The largest Passive House project in Canada is under construction in the East Hastings corridor of Vancouver Heights. 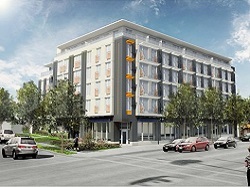 The project is named The Heights and is a six-story mixed-use building that will feature retail space on the first level and 85 units of rental housing above. This seminar and apartment building is an extension of the existing training academy of Korean food manufacturers Pulmuone Health & Living Co. The company‘s desire to build in an environmentally friendly way is very much in line with its focus on sustainable farming and healthy food. 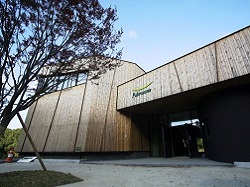 The building is situated on the edge of a nature reserve, at a significant distance from the existing academy. It uses its position in this natural landscape well, taking full advantage of the topography.